For individuals and couples, bankruptcy comes in two basic varieties: Chapter 7 and Chapter 13. In a Chapter 7 process, you submit your non-exempt assets to a court trustee who sells them in order to pay your creditors. Your debts are discharged, i.e. canceled, at the end of the process, unless federal law makes them "nondischargeable." A Chapter 13 bankruptcy allows you to partially repay your creditors over a span of three to five years. A trustee draws up the plan and collects your payments; at the end of the process, if you've kept up the payments, your outstanding debts are discharged. Both forms of bankruptcy protect you from lawsuits and collection actions by your creditors until the court issues the discharge. Federal law sets forth the rules for who may file for bankruptcy protection. The Bankruptcy Abuse Prevention and Consumer Protection Act of 2005 provides that individuals or families with median earnings above the average in their state of residence are subject to a means test. This applies only to bankruptcy filers with primarily consumer debt, in most cases credit card debt. The means test takes into account allowed deductions, such as living and educational expenses. If a Chapter 7 bankruptcy filer is found to exceed the means-test guidelines, the court may dismiss the case or convert it to a Chapter 13. The bankruptcy law does not refer to the status of your credit accounts, whether they're current, late, in collections or written off by the creditor. 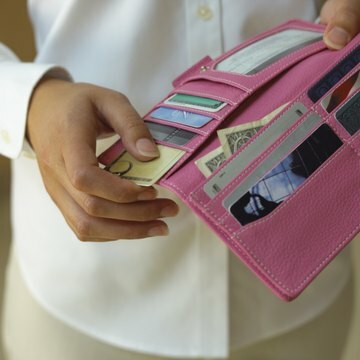 Many people file for bankruptcy even if they are current on their accounts, but facing circumstances, such as a divorce or sudden medical expenses, that will prevent them from making payments in the future. The court pays attention only to a filer's income and allowed deductions from that income in applying median income standards and the means test. Filing for bankruptcy while not in default on loans or behind on credit cards may benefit your credit score in the long run. Late payments on accounts that are allowed to accumulate over a long period of time will cause severe damage to your score and take longer to overcome than a bankruptcy filing while you're still current. Once the bankruptcy is discharged, a good record of repayments will gradually return the credit score to health, despite the bankruptcy flag - which remains on your report for a minimum of ten years — and much more quickly than if you have multiple late payments showing. Many bankruptcy attorneys recommend filing for bankruptcy before you drain savings and retirement accounts to pay debts that will ultimately prove impossible to repay.